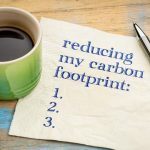 Businesses today, regardless of size or sector make changes to cut their carbon footprint, save money and make a positive impact to the environment. The majority of offices use a vast amount of paper each day, very often printing unnecessary documentation and storing files for longer than needed. In order to go green and become environmentally conscious one of the key changes that can be made in the business arena is therefore to go paperless.